The criteria include challenge, dechallenge and rechallenge. • Challenge can be classified into "very suggestive'' (when there is an obvious temporal association between drug administration and the onset of the reaction, such as anaphylaxis during intravenous drug injection), impossible (when the drug is given after event onset), and compatible (other cases). The "impossible" category is especially pertinent, since it justifies knowing the reason for which the drug was given to eliminate protopathic bias, the prescribing of a drug for early symptoms of the event later reported as a reaction (e.g. 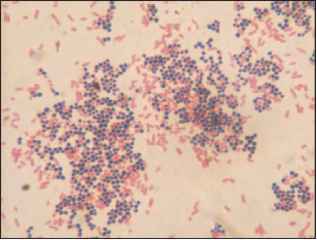 agranu-locytosis attributed to an antibiotic that was prescribed for the sore throat and fever that are the first signs of agranulocytosis, or stomach cancer and H2 antagonists prescribed for undiagnosed dyspepsia). 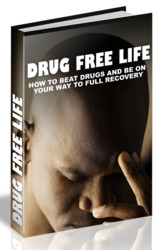 • Dechallenge can be suggestive when the reaction abates when the drug is stopped. It can be non-conclusive when there is no assessable dechal-lenge (e.g. drug not stopped, or patient dies), or there is no information on dechallenge, or the reaction is irreversible (renal failure, death), or specific treatment was applied to the reaction, etc. It is against the role of the drug if the reaction persists (if reversible) when the drug is stopped, within pharmacokinetic constraints. • Rechallenge is positive when the reaction recurs when the patient takes the drug again (for whatever reason, bearing in mind recurrent protopathic bias), negative when the reaction does not recur when the drug is taken again at the same dose, for the same duration, with the same concomitant diseases and medication (a rare event), and not assessable in all other cases. Information on challenge, dechallenge and rechallenge is input into the appropriate three-way table, which results in a grade from C0 (drug excluded) to C3 (very suggestive time association or positive rechallenge) (Table 16.2).